New York Fries is a chain of fast food restaurants with locations across Canada. New York Fries specializes in french fries and french fry dishes, but they are also famous for their hot dogs. 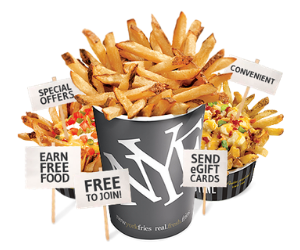 Check here for the latest New York Fries promotions!